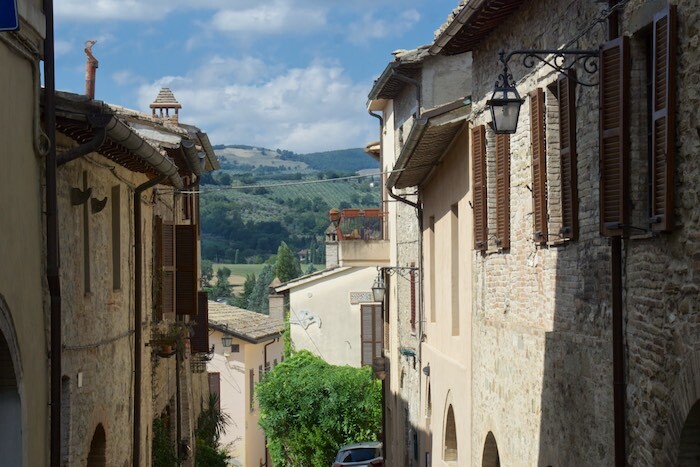 Week one of our recent Italian cooking trip was spent exploring the quaint hill-towns of Umbria. 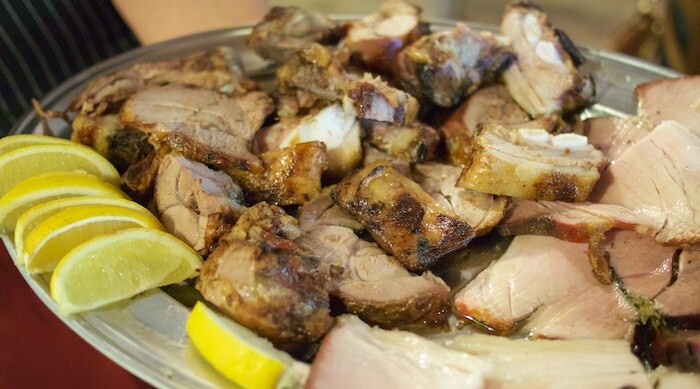 We traveled from town to town exploring the architecture, history and of course the food. 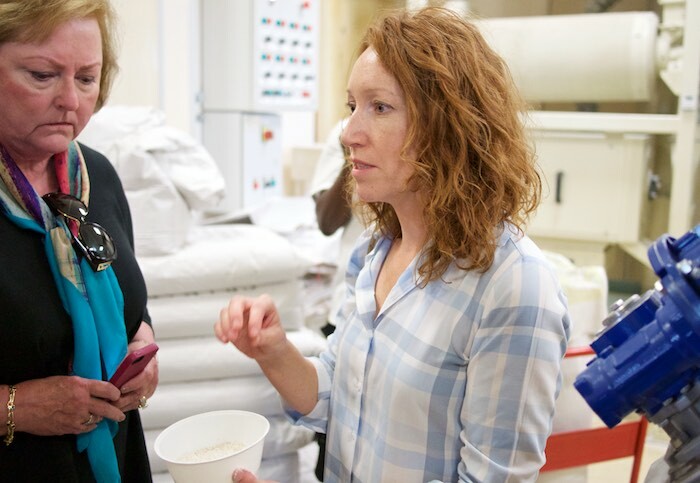 One of our excursions included an interactive farm-to-table tour with Jennifer McIIvane owner of Life Italian Style Tours. Jennifer, like myself, is a Philadelphia native living in Umbria. She not only hosts a variety of food tours throughout the region, she is also a private chef. 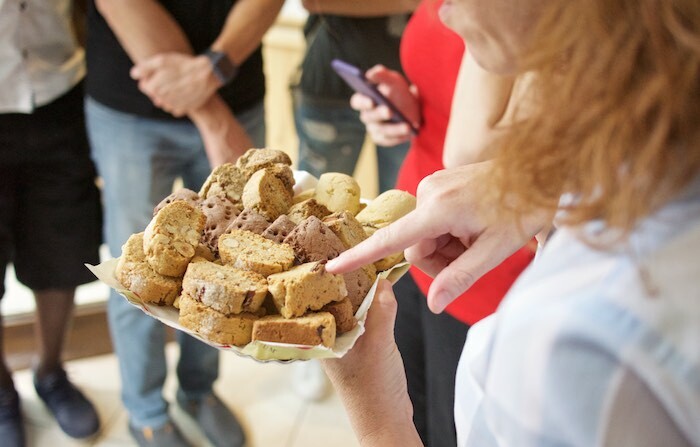 Our farm-to-table tour started at a stone flour mill/wood fired bakery where we learned about the milling process and got to taste plates of freshly baked cookies. 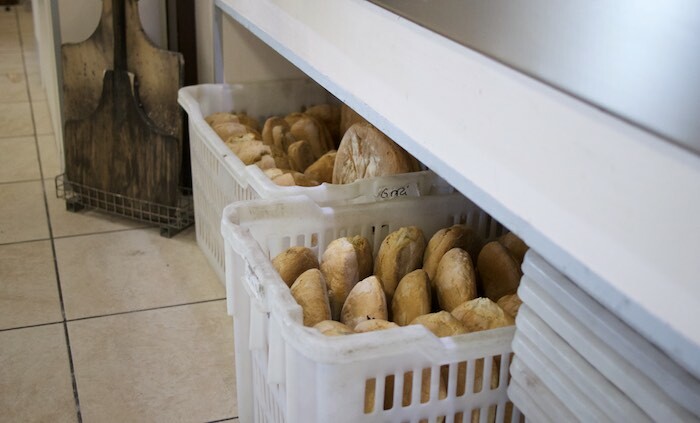 Did you know that Umbria's most popular bread is unsalted? This is due to a tax placed on salt by the Pope back in the 1500's. 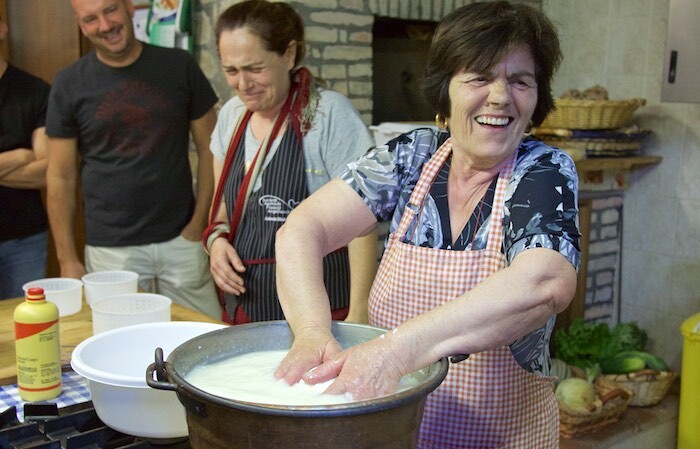 Next we headed to Societa Argricola Fratelli Angelucci, a working farm in the town of Cannara, where we learned how to make cheese and fresh pasta with Nonna Rita. 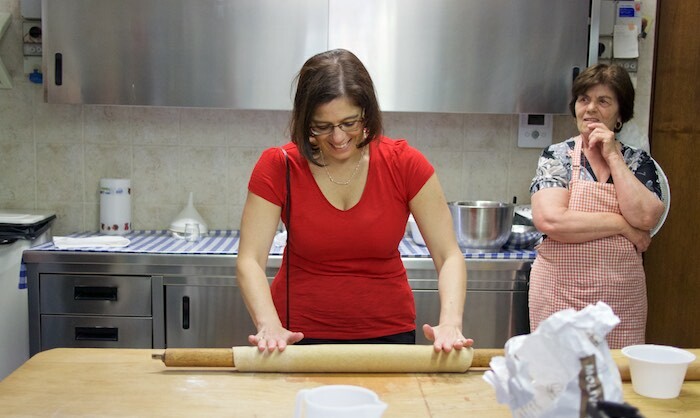 Participation in the process is entirely voluntary, and of course yours truly put herself forward to roll out some fresh pasta dough. 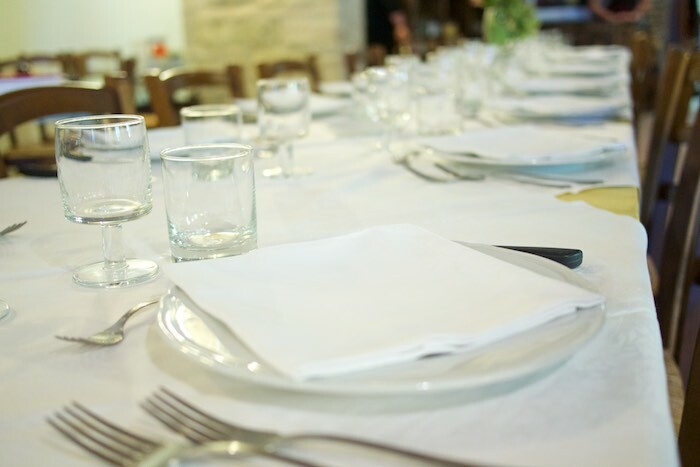 After some time in the kitchen with Nonna Rita our group gathered at a beautifully set table to enjoy a homemade 11 course lunch. and platters of meats, among other things. It was a delicious and enjoyable day. 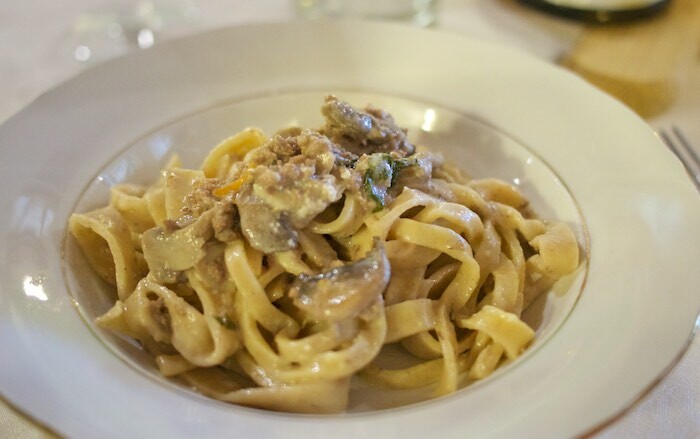 If you find yourself in the Perugia region and want to immerse yourself in the traditions of Umbrian food and life I would highly recommend Jennifer's farm-to-table tour. Oh boy!! Those cookies. Nothing can replace the pleasure of sniffing the aroma of freshly baked cookies. I'm so envious that, you got to tour and explore the culinary trail of Italy. how interesting about the no salt in the bread...must have been an awesome day! I had no idea the Pope levied a salt tax way back when. Sounds like doy had a fun and interesting experience! Can I go along with you, next trip? This food looks like delicious fun! What an absolutely amazing trip and experience - it looks like you had an amazing time! Wow! This looks like such an amazing experience! :) What I wouldn't give to go on a food tour in Italy! Wow!! What a dream trip! I hope to do a food tour like in Italy someday. That pasta dish has me Drooling!